Sailboat racing has always been exclusive. 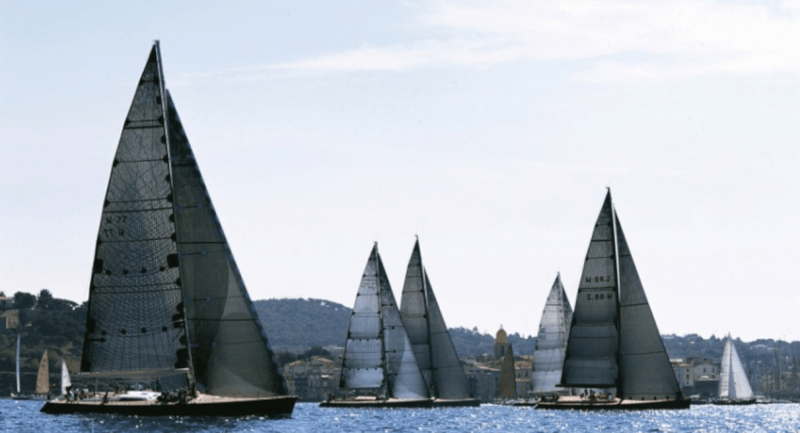 And superyacht racing is uber exclusive BUT…the paradox is…it’s not as exclusive as pro football, or Formula One, or any major league sport when it comes to real participation. Sure, anyone with means can acquire to tickets to the Super Bowl, or the World Series, or even get in the pits in a Formula One race, or maybe even play in a Pro-Am golf tournament with a real live Tour pro. Maybe. But no amount of money will allow a mere mortal to stand in the huddle during the Super Bowl. Or on the mound of a World Series game. You might be close to the people at the pinnacle of their sport, but you’ll always be a spectator. And being a spectator is great…unless you’re the type of person who wants to actually experience what it’s like to be at that level for yourself. So, if you’re one of those people who wants to compete with and against (not just watch) the best in the world, the new superyacht racing venture between Cloud10 Racing headed up by veteran pro sailor Tony Rey, and the superyacht experts at Camper & Nicholsons International is going to be very, very interesting. Cloud10 Racing and Camper & Nicholsons have teamed up provide yacht charterers and owners with the opportunity to not just watch, but race, in some of the world’s most prestigious and exclusive superyacht regattas, on some of the worlds most exclusive and beautiful yachts, both with and against many of the top sailors in the world. As a veteran of the Americas Cup, the Volvo Ocean Race, the Olympics and the highest levels of Grand Prix racing, Tony knows what it takes to build a winning team. But he also knows that superyacht regattas are about having fun. So he’s also an expert at matching the right team with the right yacht so his clients can be right at the center of the action. Whether you are looking to charter a superyacht to race in the Mediterranean, or you have been dreaming of racing your own yacht in the St Barth’s, Cloud10 and Camper & Nicholsons can make it happen. The boats are beautiful, the racing is exciting, and the venues are amazing. You can be a spectator if you want to. Or you can truly be part of a team that’s made up some of the best in the world. The choice is yours. Previous articleWhat’s it like aboard this totally PREPPIE superyacht?